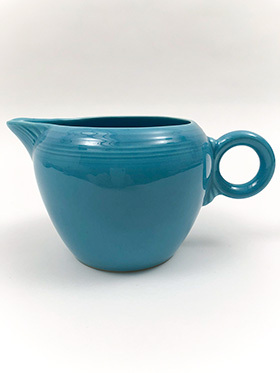 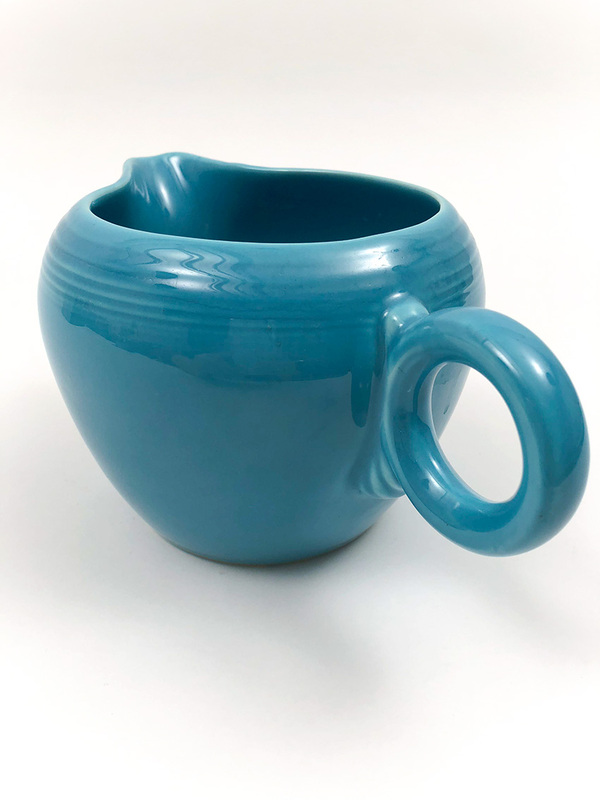 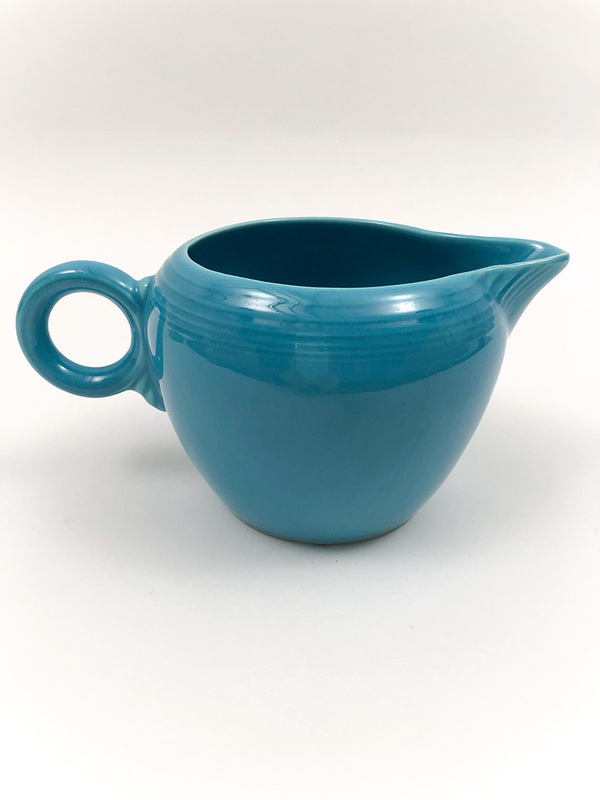 Circa 1938-1959: The largest of a set of five variations of open jugs that pottery designer Frederick Rhead experimented with, the Fiesta 2-Pint jug is a delight. 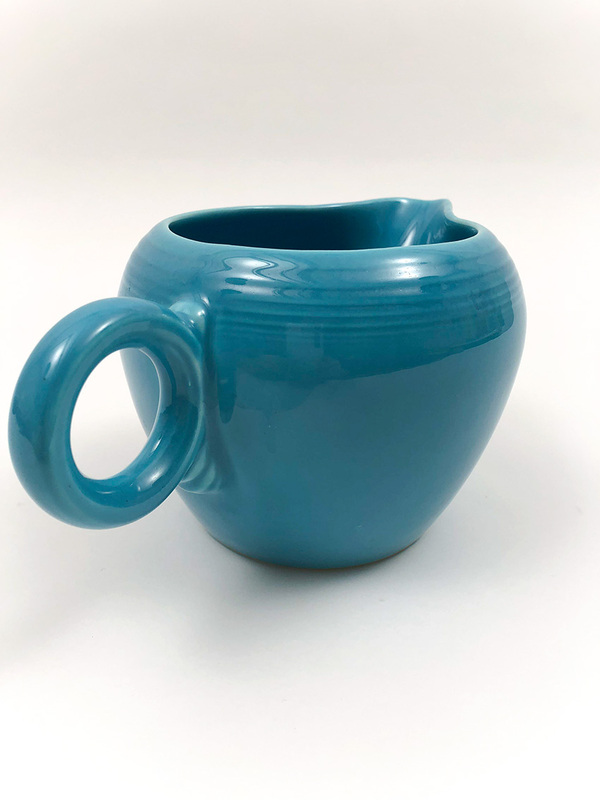 The great circular shaped handle which is now so universally recognized as fiestaware was molded into this piece and integrates into the body of the pot with fabulously understated, art-deco like scalloped elements. 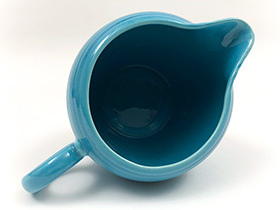 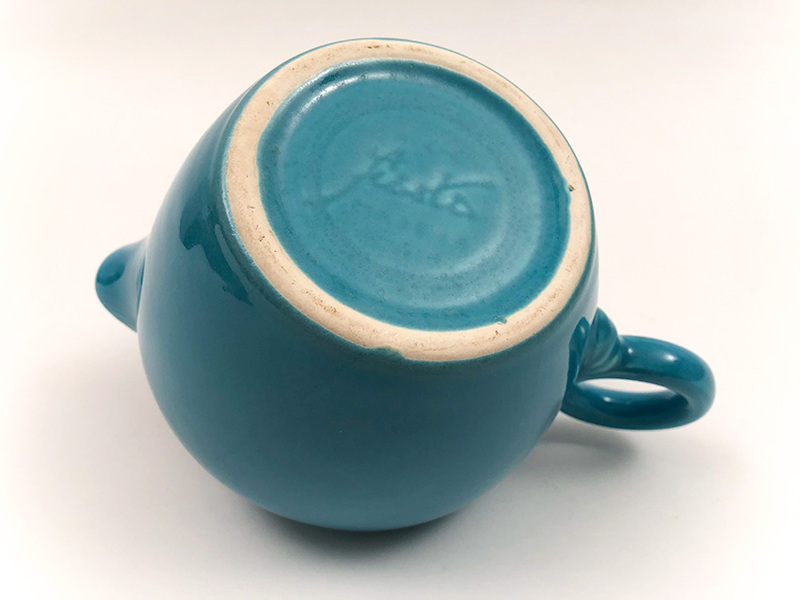 Subtle rings adorn the edges of the handle along with the top rim of the pot and out and over the spout. 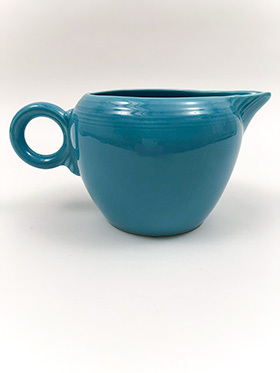 It is these great details that keep Fiesta so relative today. 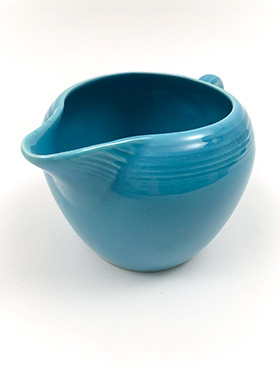 This example in the old vintage Turquoise glaze is in just excellent, clean and undamaged condition.